This trick works only on Google chrome. Sorry to other browser users but I promise to bring this trick for Firefox users sooner. Download the FB refresh extension from Chrome web store. click here. Select Add to Chrome. It’ll automatically get attach with your chrome. Now reopen your browser and go to www.facebook.com. You’ll see the default image as background. In you chrome browser click on settings > Tools > Extensions then on FB refresh select option you’ll see something like this. 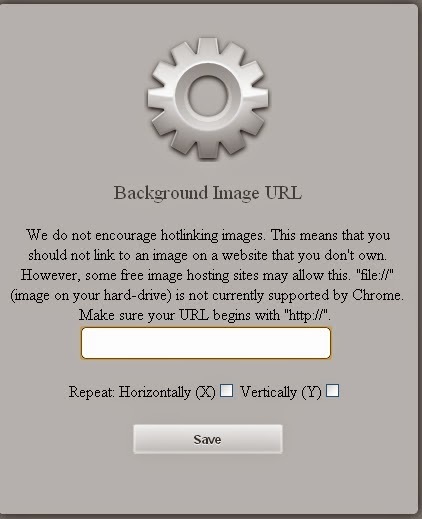 Now enter your URL in the box which you copied on step 5 and click save. Finally you are DONE. Just reopen the browser to see the changes. Enjoy your new Facebook login page. Stay tuned for more tricks.